Welcome to our Ultimate Guide to Goose Deterrence. You are reading Part 1, where we help you brush up on goose biology, seasonal habits, and government regulations protecting these birds. In Part 2, you'll learn all about several goose deterrence methods. 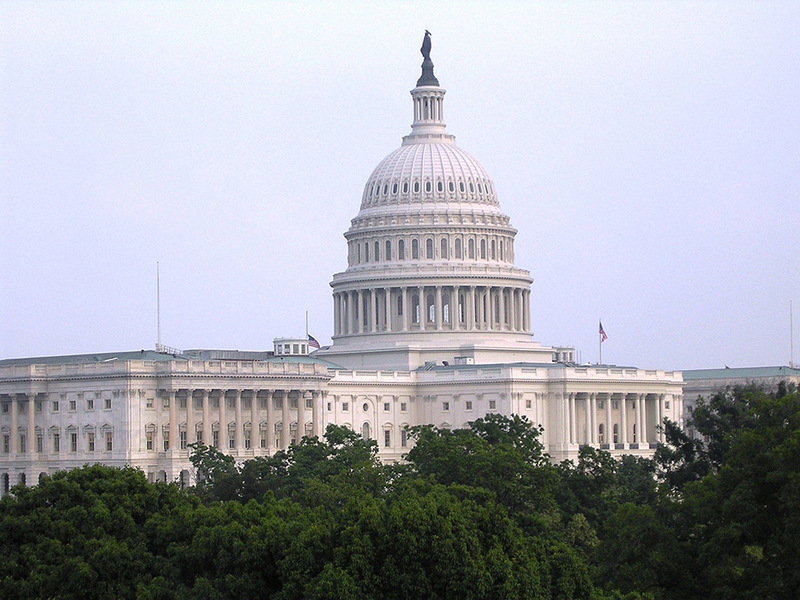 In Part 3, you'll get an idea of how to put together a deterrence strategy that fits your budget and needs. From a distance, Canadian Geese look noble and picturesque. But, up close and in large numbers, these geese can be an obnoxious pest, a health risk, and seriously difficult to remove. When the geese come honking, you’d better be informed. Thankfully, we’ve got you covered with our Ultimate Guide to Goose Deterrence. Due to decades of overhunting during the late 19th and early 20th centuries, the Canada Goose population plummeted. In fact, the Giant Canada Goose subspecies were thought to be completely extinct until someone found a small population wintering in Rochester, Minnesota in 1962. The 1918 Migratory Bird Treaty Act covers all Canada Geese subspecies and federally protects them from being pursued, hunted, taken, captured, killed, or sold without a waiver. The population of the Canada Goose has rebounded spectacularly from endangered to a population of over 300,000 in Michigan alone. The reintroduction of the nonmigratory Giant Canada Goose, as well as changes to climate and habitat have created a canada goose population that migrates less frequently and prefers to stay put year round. These geese are referred to as non-migratory or resident. This has caused large populations of birds to winter in urban and suburban habitats, where food is abundant and predators are few. The typical Canada Goose lives for about 10 to 24 years. They are monogamous, and mate in pairs until one partner dies (at which point the surviving goose may seek a new partner). The pairs lay a clutch of between 2 to 9 eggs every year, though 5 is the average. Geese prefer to nest and rear their young at the same location every year. So, if you have geese nesting on your property year in and year out, you are likely seeing the same birds each time. Properties with a strong goose presence will notice an abundance of goose droppings. A single adult goose will defecate between 1 to 1.5 pounds every day. Studies show that goose droppings contain dangerous bacteria, including E coli and Salmonella. This can quickly add up, and having 20 birds on your property is like having 20-30 lbs of bacteria laden feces spread on your property every single day! Canada Geese do their mating early in the year. At this time, geese often return to their preferred mating site. They tend to settle in, and prefer not to do much pond hopping or foraging outside of the nesting grounds. Just as spring arrives, so do the goslings. 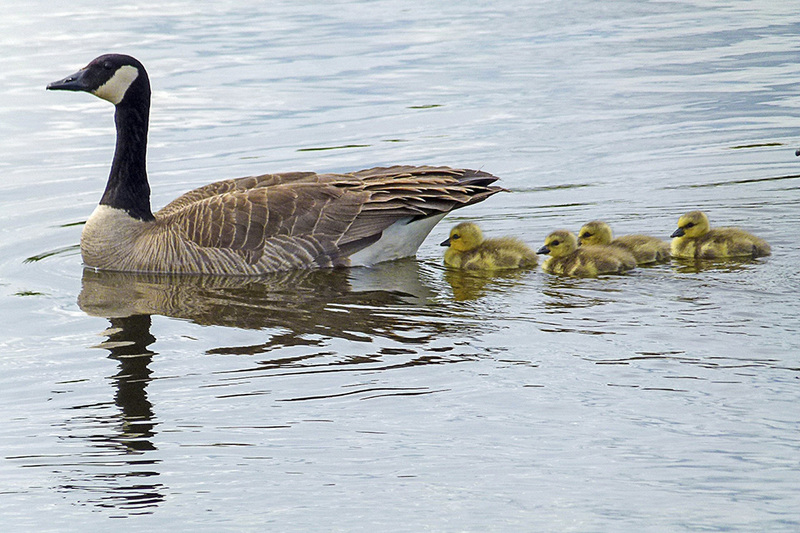 Geese often travel with their juvenile children from the year before. During nesting, the parents chase their now grown goslings from the previous year away in order to preserve the nearby food supply. The pair will usually build their nest in a secluded area to keep it out of site from potential predators. If their nest or eggs are destroyed, the pair will usually relocate to a safer spot nearby, and then walk their goslings back to water after hatching. During this time, Canada Geese can become pretty aggressive when people or pets approach hidden nests. Sometimes geese place their nests close to high traffic areas which lead to conflicts with people. They will hiss, peck, and charge at people, which will result in an increase in complaints from residents and visitors. The babies have hatched, and now they need to grow. During this season, you’ll see a lot of goslings walking and swimming. While they are adorable, it’s a bad idea to approach the goslings, as their parents are still in protection mode and will aggressively defend their young if the anyone gets near. You may notice a lot more geese on site than you did a month or so ago. This happens because the parents have recalled last year’s juvenile geese that they chased away during nesting season. This happens for one simple reason: safety in numbers. Goslings are snack-sized treats for nearby predators, and more geese on site means more muscle to keep the babies safe. Once the goslings have matured into full fledged geese, the molt begins. Suddenly, the adult birds shed their flight feathers and begin growing next year’s set. During this time the birds are flightless. Sadly, for the time being, you are stuck with your geese. It is legal to perform goose roundups during this time, but studies have shown that round ups are ineffective and are only a temporary measure. A majority of geese will return to your site once they regain their flight feathers. The Michigan Department of Natural Resources doesn’t recommend goose roundups for this reason. The birds have their flight feathers back, and now it’s time to move. After being cooped up on one body of water, the geese are happy to spread out and check other nearby areas. 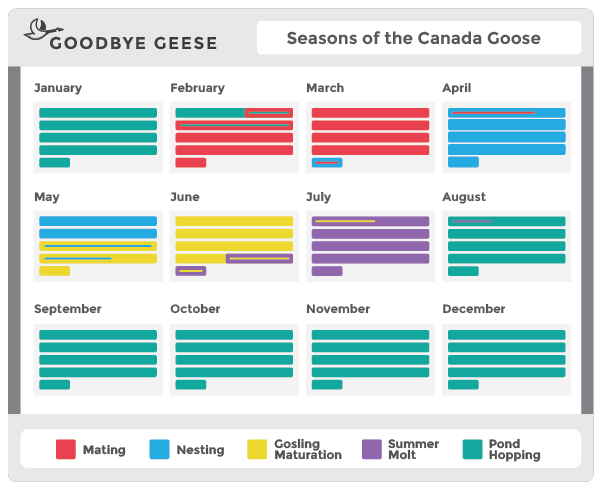 After a few months, migratory geese may begin their flight south for winter. But, the growing number of resident geese will opt to stay put and only make flights to nearby ponds and green spaces looking for food. During the winter geese will continue to cause damage to grass roots, and will forage under snow. Canadian Geese are protected under the 1918 Migratory Bird Treaty Act, which federally protects them from being pursued, hunted, taken, captured, killed, or sold without a waiver. In the State of Michigan, it is legal to hunt geese with a license. Click here to visit the DNR Waterfowl portal to learn more. In Michigan, it is illegal to disturb nests, destroy eggs or capture and relocate geese without a proper permit. Properties must apply for a permit to destroy nests and eggs through the Michigan Department of Natural Resources. Goose Roundups are only allowed by companies permitted through the Michigan DNR as well, and are a last ditch attempt to control the goose population on a property. 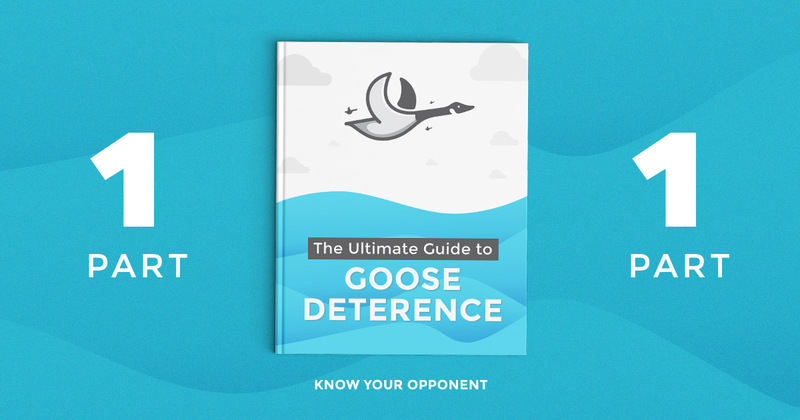 Now that you know everything there is to know about your opponent, continue on to Part 2, where you'll learn all about several goose deterrence methods. In Part 3, you'll get an idea of how to put together a deterrence strategy that fits your budget and needs.